Seattle, Washington is the largest city in the Pacific Northwest is known for many things including software, rain and coffee – but we’d argue it should be known as one of America’s premier craft beer cities as well. Located in a city known for loving ‘local’, Seattle is in one of the premier areas for hops growing globally and Seattle beer drinkers are educated in their styles and diverse in their tastes. Today we’ll check out three breweries that are must-sips when you visit the Emerald City. Founded by two brewers that just started home-brewing a few years ago, Ballard-based Reuben’s Brews is a must-visit on any Seattle beer tour. There are more than twenty beers on tap – and we recommend the sampler flight so you can get beers that range in dark to hoppy to light. Featuring an amazing neighborhood-style location and a food truck on the weekend, Rueben’s is known for pushing the limits on what a small brewery can do. Last year, the brewmasters at Rueben’s turned out 140 different styles, meaning those brewers were working a full 400 day (see what we did there?). Tucked away just north of downtown is Holy Mountain in the Interbay neighborhood, a newer brewery that was opened by two friends in 2016. Holy Mountain strives for a beer lineup that bucks the trend of IPAs and ‘regular’ beer styles. This brewery is known for barrel-aged beers, saisons and anything that is adventuresome and helps make an impression upon visitors. 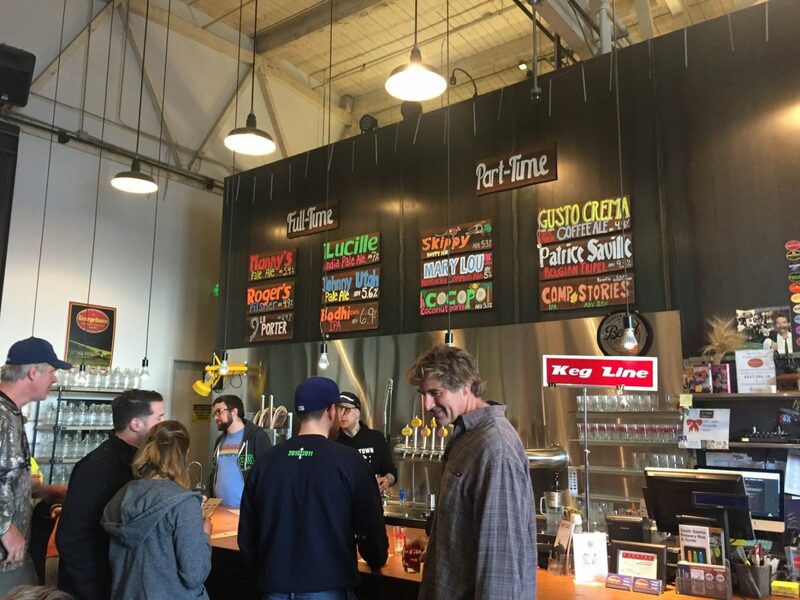 Located in Seattle’s oldest neighborhood, you’ve likely heard of Georgetown through their flagship beer, Manny’s Pale Ale (one of the most popular pale ales in the Northwest), if you’re a beer fan. Georgetown’s taphouse is in a large warehouse that’s also their production brewery. We recommending sampling their beers as their styles are in constant rotation based on the season and brewer’s mood. 🙂 Also, while Manny’s may be the company’s most well known beer, there are amazing imperial IPAs, stouts and specialty releases that set Georgetown Brewing apart from the Seattle brewing pack. What’s your favorite beer or brewery in Seattle?